Make your jewelry fancy with Fancy Stringing Rings! 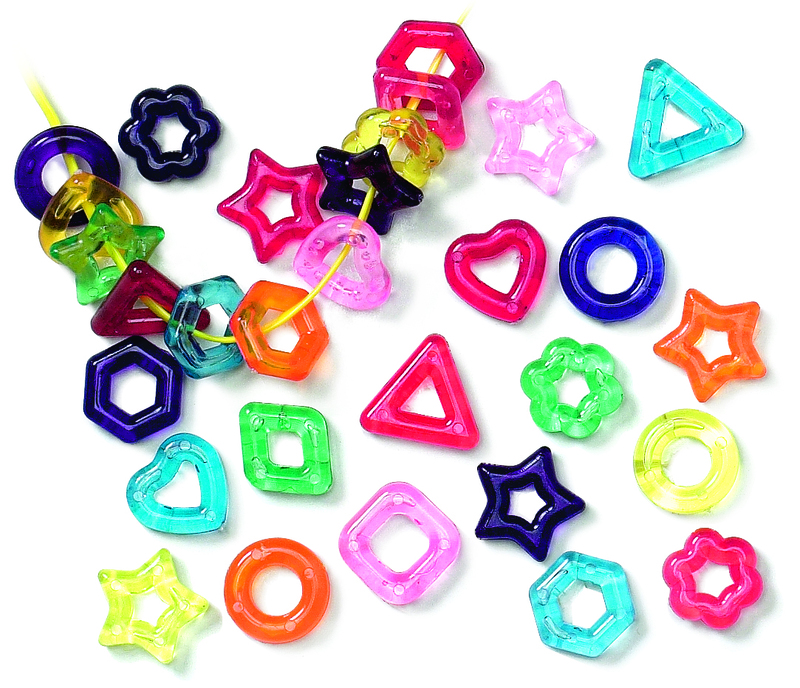 Beautiful, bright colors and recognizable designs make these beads a joy to work with. String, sort, play and mix colors together on a light table! Beading is a prime fine motor skill activity that’s always a favorite for arts and crafts sessions! The best part about our Stringing Rings is that they are large enough to fit through any size string–even pipe cleaners. There are a range of different activities you can do with the Fancy Stringing Rings. Stay tuned for this week’s original craft post featuring our Stringing Rings! In the meantime, enjoy the video below showing how to make simple bracelets using Fancy Stringing Rings and tape! That’s all you need. Simply lay your beads onto a strip of tape and seal up! It’s that easy! Thanks for viewing this post! Like us on Facebook and subscribe to our blog today for updates every Monday, Wednesday and Friday! This entry was posted in Crafts, old and tagged activities, beading, beads, bracelet, crafts, fine motor skills, jewelry, kids, necklace, stringing rings, summer by roylcoblog. Bookmark the permalink.